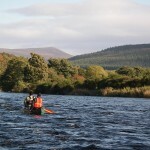 Open Canoe Journeys on River Spey in Scotland. Paddle an open-canoe for between 50 & 70 miles on The River Spey, Scotland’s most beautiful and ideal canoe-touring river. Finish your journey at the rollers of Spey Bay where the fresh of the river meets the salt of sea. All canoe journeys offer you an intimate experience of the River Spey and allow you to truly get to know her moods, her past life, her secrets, witness her beauty and meet her people. Dave Craig has completed in excess of 140 Descents of the Spey and is the River’s most experienced and knowledgeable guide. His in-depth knowledge of local social & natural history is exceptional and he passionately shares this with you while journeying on this enchanting water pathway. 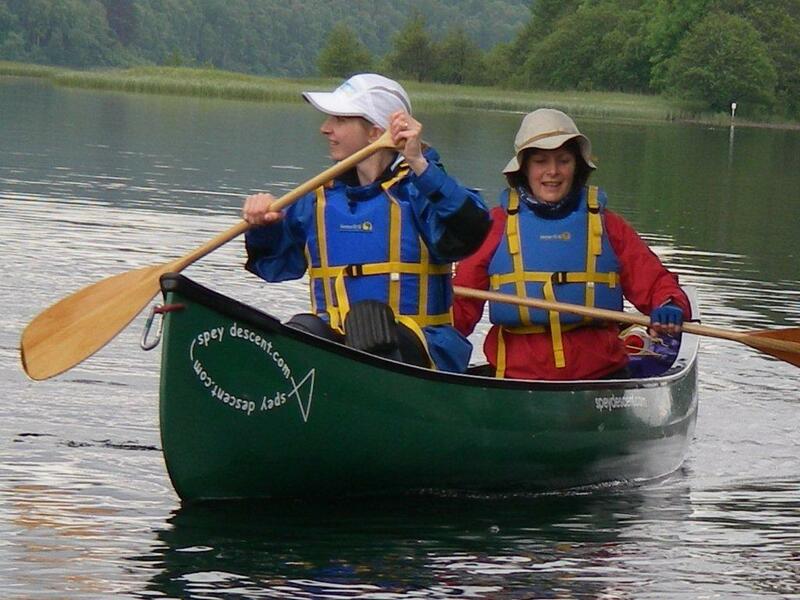 Canoeing with Dave is much more than learning a skill as he facilitates an extraordinary journey of discovery, with spectacular views of the Scottish Highlands and its wildlife along the way. With dippers, golden-eye and grey wagtails just a few feet from your paddle and buzzard or osprey circling above, it’s a bird-watchers paradise. Participants usually paddle in pairs where numbers permit. All technical equipment, Canoes, wooden paddles, buoyancy aids, dry-bags, storage barrels are provided for all Journeys. Camping equipment is provided as required for those seeking an “At One With Nature Spey Descent”. Lunches, hot and cold beverages are provided for all options and other meal arrangements are detailed with each journey option. Feel it on the River. Taste it in the Whisky. Hold it in you Heart. 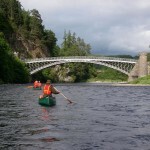 50 miles by canoe on this beautiful, iconic river, steeped in history ~ staying in luxury accommodation, delicious dining and personalised malt whisky experiences/distillery tours throughout this unique journey. 60 – 70 mile canoe journey with comfortable Dinner, Bed & Breakfast provision punctuating your paddling days. A whisky tasting experience is included in your journey. Paddling on the river. Communing with nature. Sleeping under the stars. 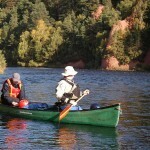 60 – 70 mile canoe expedition with first 1 or 2 nights D.B&B accommodation but mainly camping out and eating alfresco. A whisky tasting experience is included in your journey. Just to let you know that we had a fabulous 5 days descending the Spey all the way to the sea. I just can’t help telling everybody what a fantastic experience the whole trip was. Compliments both to you and Jude for looking after us and feeding us so well.